Growing up, I logged a lot of time playing adventure games under the LucasArts banner: ‘Sam and Max Hit the Road’, ‘Loom’, ‘Secret of Monkey Island’, and ‘Day of the Tentacle’. These were adventure games where you had to discover and combine things in order to advance to the next part of the story, where you would find a new puzzle that often required you go all the way back to the beginning of the game to unlock a chest you saw in the first act with a paperclip you found in the third. Judging by first impressions, if you took a LucasArts adventure game, slipped it a mickey and set it up for a naughty romp with early 3D Legend of Zelda games, the lovechild would be Eonia. And I mean that in the best way possible. For as long as he can remember, young Albius wanted to be the apprentice of Master Enodio. At last his moment of triumph is at hand, and upon reaching adulthood on his fifteenth birthday, the hero of our story sets out for his Master’s tower to begin his new life. On reaching the tower, alas, he finds not the Master, but instead a set of directions on tasks to complete. First up: Larceny! No, seriously. The very first thing the Master does is have you learn to pick locks (which has a minigame that you might find familiar). The only thing better than this is the fact that when you do pick the lock you get a sword – which you learn how to use by reading a book. Once you stop having fun riding the elevator, anyway. All kidding aside, I can’t help but find myself intrigued and enraptured by Eonia. Created by a single developer named H Juan M Silvetti, and produced by Poysky Productions, Eonia is a self-proclaimed labor of love. That love shows through in the detail-oriented gameplay. You’re encouraged repeatedly to take your time, explore, read carefully, and think. You find many letters and written clues in the game and it is in these that the impetus of the story is carried; from Master Enodio’s instructions on how to commit petty crime, to well-wishes left by your mysteriously absent best friend. You would do well to read anything you come across if you want to advance, both in the main story and in the subquests. 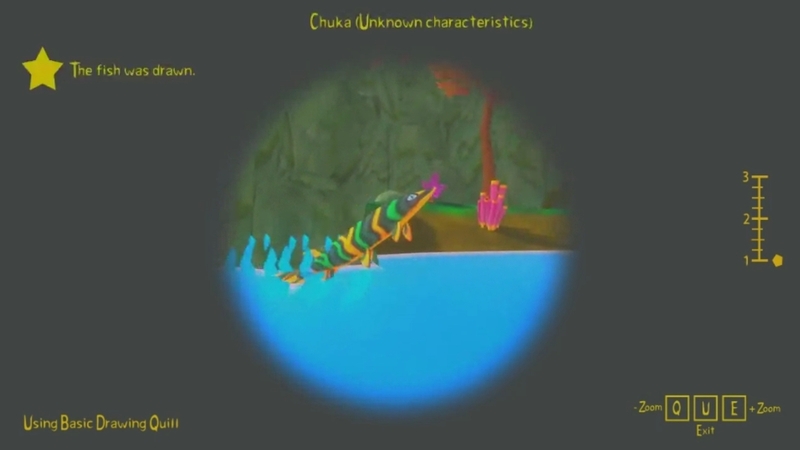 Another of the driving forces of the game is recording information about the Alebrije-like wildlife you encounter along the way in your trusty appendix, the “Beastarium”. Typically, in the early game at least, you have a picture on a page, along with a name; it’s suggested that you can add more blank pages to the book later in the game, after visiting a specific NPC. Once you’ve spotted the creature, you have to get close enough with your spyglass to observe and record its behaviors. Once this is done you can return to Master Enodio’s tower where the Beastarium is kept and unlock the information about the creature, which will in turn give you tips about how to defeat or bypass said creature, if necessary. I found the concept of multiple methods of ‘defeating’ an enemy to be one of the cooler aspects of the game. Many adversaries can be defeated in more than one way. Yes, you can go in hack-and-slash sometimes (or lob spears from a distance in certain cases), but other times, even on the same foe, you might choose a more subtle approach, such as finding something that creature dislikes or its natural enemy, and using that to thwart your obstacle instead. The next thing that I must talk about is the style of the game. I find it to just be completely and utterly relaxing to play. The music is soothing and pleasant. The animations aren’t clunky… mostly. Best of all, the game is really freaking pretty. It almost feels like you’re meandering through a Dr. Seuss book. I found myself wandering around to look behind this rock or that, climbing things, ducking under fallen trees to get to hidden nooks, usually to be rewarded for my curiosity in some way or another. Eonia is definitely a game that reinforces the adventurous and explorative spirit. Sometimes, it also just encourages standing in one spot and watching the leaves flutter in the wind, as though hypnotized. I really can’t wait to play more of Eonia as content updates roll out. As it stands I’ve been seeing at least one update per day for the game, sometimes more. H Juan M Silvetti is hard at work on his project -which is good, as it needs that work. The title launched into Early Access on Steam May 24th, 2018. With the status of Early Access comes bugs, missing content, and tweaks needed. The translations to English can be a bit rough around the edges, but the meanings can generally be discerned. What’s not to understand about “All your base are belong to us”, after all? The game also has a variety of other features that I haven’t really touched upon because I’ve only seen the vaguest hints about them. 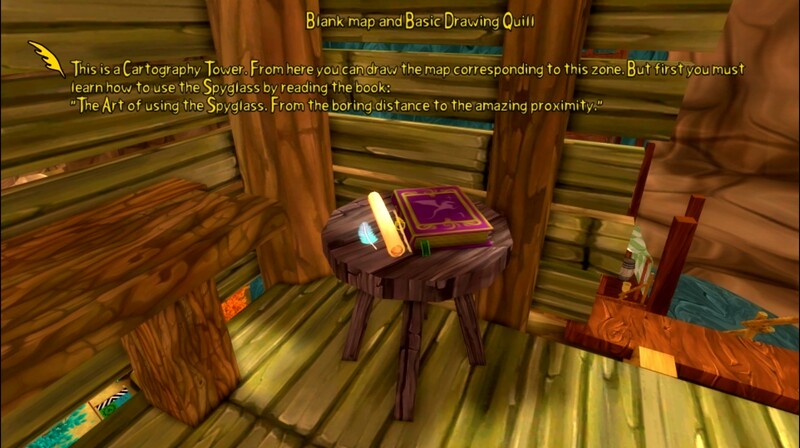 Crafting appears to be a major part of the game, as well as gathering and cartography. 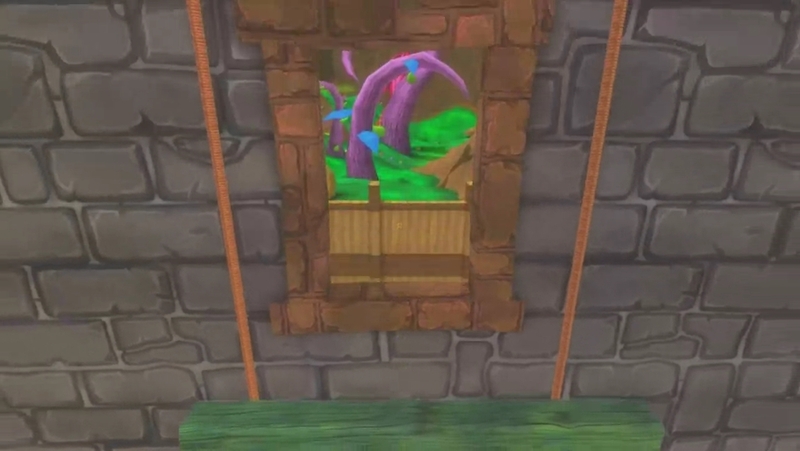 In order to unlock the map for a given area, you have to climb a cartography tower and use your spyglass to orient the cardinal directions. Once done, you’ll see the points of interest on the map for you to explore. On the first map, these include a number of mail towers (one of which your best friend works at), a fishing dock, a mine, and several other places of note. Alas, at the time of writing this article, I wasn’t able to progress far enough into the game to tell you how some of those features work or how entertaining they might or might not be. If future features follow the pattern set by what’s already in the game, they promise to be a delight. If you still feel fondly for late 80’s/early 90’s adventure titles, and would enjoy playing them in a modernized first-person format, I think you’ll find yourself being drawn heavily into Eonia. I believe there’s a lot that could appeal to fans of games like Animal Crossing as well, though I can’t quite put my finger on why. Call it a hunch. 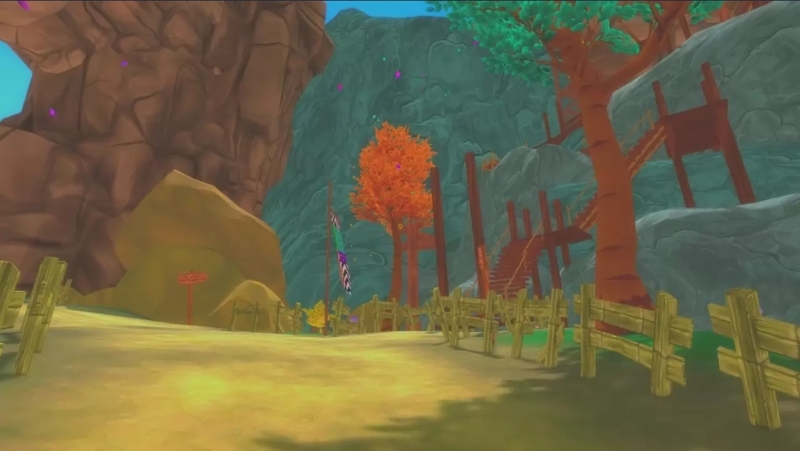 Perhaps just the style and feel of the game, with its bright vivid colors and calming mindset. Eonia is the type of game that many people will enjoy coming home to play after a stressful day at work, where they want to just escape to someplace far more pleasant.